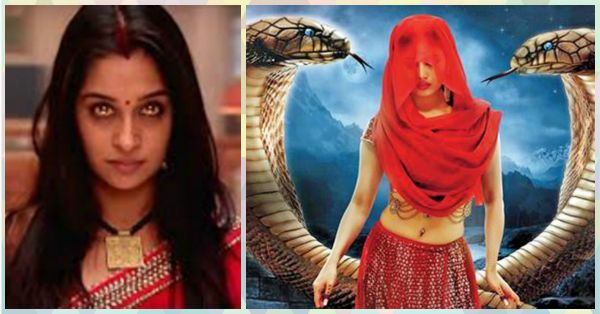 Dear Hindi TV Serials, WTF Is This Era Of Naagins & Chudails?! Dear Hindi TV Serials, What is going on - like, really? First, you guys were obsessed with saas-bahu dramas, and made quite a LOT of money out of mean mothers-in-law and shivering, righteous daughters-in-law. And now, almost a decade later, when you can’t feed that nonsense to the masses any longer, you’ve come up with the brilliant idea to package the same old sh*t with some brand new supernatural flavour. Your coveted TV ratings are through the roof, with a show titled Naagin topping the charts - and you’ve successfully gotten people glued to their screens every single day. What a move, guys. Please, take a bow. You are just doing your job well, so what’s my problem, you ask? Well, my problem lies in your inability to portray women as anything but creatures whose lives revolve around: a) plotting and planning to win their husbands over from the MIL; and b) “making sacrifices” at the altar of the great Indian family. My problem with you is that there is some woman out there who is probably being forced to live within these traditional, domestic norms that society has dumped on her - and when you get a naagin to play these roles, you brand that woman as a naagin too. My problem is that you are justifying the notion that we fought so hard to replace - that any woman who steps out of line is basically a chudail, a dark creature who needs to be controlled and imprisoned for a better world. My problem is that you are feeding the superstitions of the illiterate and the half-baked knowledge of the literate and somewhere down the line assuring them - along with all that pandits and babas - that supernatural powers exist, even today, and aren’t a thing of the past, that we as human beings don’t always need to take responsibility for our faults, flaws, behaviour, cruelty. Oh, and if you want to hide behind the “We’re just selling fantasy” protest - please allow me to remind you of the case in 2012, when 3 women were lynched by villagers because they were accused of being witches. Those people obviously didn't think witches were only part of the fantasy world.